We appreciate your feedback about your support experience with SkyVerge, developers of WooCommerce Mollie. This helps us maintain high standards on the WooMarketplace, and helps SkyVerge improve. Because Mollie handles the payment processing for you, no SSL certificate is required on your site, and you don’t have to worry about PCI compliance. Customers select their favorite payment method at checkout, and are redirected to Mollie or their bank’s site to finish the payment process. You benefit from easy, secure payment processing, and improve customer satisfaction by offering multiple payment methods. When an order is placed using iDEAL, the customer chooses the correct bank and is taken to iDeal to make a secure payment via Mollie. The actual payment then takes place in the familiar surroundings of the website of the bank so that buyer and seller are assured of a secure, transparent transaction with no hidden costs. iDEAL works directly with ten large banks in the Netherlands: ING, ABN AMRO, Rabobank, SNS Bank, Regions Bank, Friesland Bank, Triodos, ASN Bank, Van Lanschot, and Knab to provide inexpensive, secure payment processing. Prepaid paysafecard cards are available at more than 110,000 points of sale in 37 countries, and paysafecard is one of the most popular prepaid cards for online payments (especially for parents purchasing for their children). When the customer selects the paysafecard option on your website, a pop-up window appears and customers can enter the paysafecard code. After this code is entered in the pop-up window, the transfer amount will be deducted from the card. If necessary, an amount can be paid via multiple paysafecards. For all other payment processing services with WooCommerce Mollie, customers are taken to Mollie’s website to complete the purchase. Customers can pay via Mister Cash, bank transfer, using a credit card, via SOFORT, via Belfius Direct Net, or via PayPal in order to securely offer the payment method of choice for the customer. 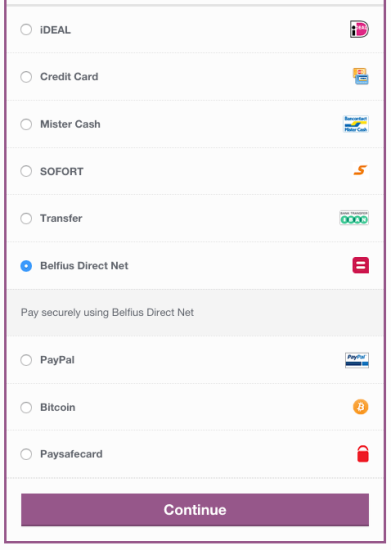 Mister Cash is similar to iDEAL, but is linked to a Belgian bank, while bank transfers will allow you to receive payments from both private and corporate customers in more than 35 European countries. 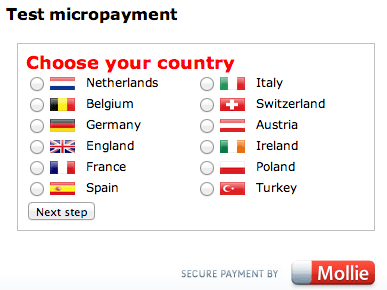 You can even re-order the display of all of these payment methods by following the tips in our documentation. That’s it! Sit back and enjoy all Mollie payment processing options!